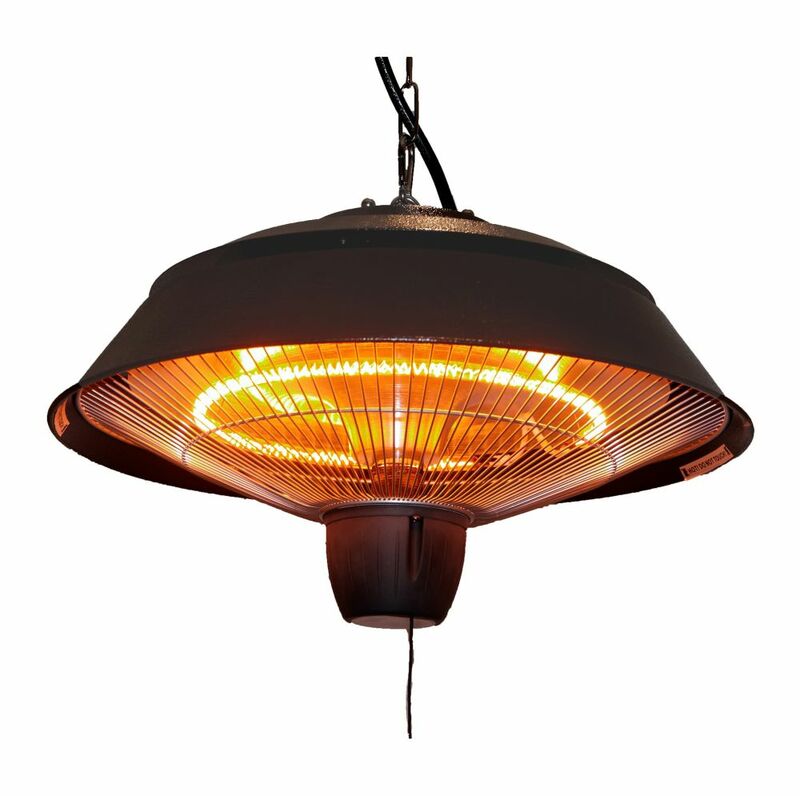 The new Energy+ electric outdoor gazebo infrared heater ushers in a new era in outdoor heating. Its warmth can be spread precisely where you want it and how you want it. Bring the ambiance of a real wood-burning fire to your outdoor living space with the 36 inch Blue Rhino Oil Rub Bronze with 30 inch. lattice design fire bowl. Comes with safety features for your protection. The classic cut Desert Stream LavaGlass. instantly adds a touch of elegance to any outdoor heating appliance. Whether you're wanting to add a pop of colour, or simply match with your existing patio decor, this fire glass is your go-to. The Desert Stream LavaGlass. combines a dry copper with refreshingly crystal-clear glass, for true balance. One bottle of LavaGlass. will cover up to two square feet and the base layer of your unit should be built up of small lava rock to ensure the flame stays oxygenated for optimal heat. Transform your ordinary patio table into luxury within minutes! The Mini Angeline Fire Bowl Insert is an easy and economical way to create a warm and inviting atmosphere outdoors. The unique design allows you to insert the firebowl through the pre-existing umbrella hole on your patio table, while the propane tank safely sets underneath. The attractive faux concrete finish beautifully compliments any outdoor setting, as the flame dances across a bed of luminous LavaGlass. You and your guests will take pleasure in the powerful 10k BTUs of heat for hours on end. Gazebo Penguin Log Shelter, measures 5'6x1'5"x5'8". Keeps your firewood protected and organized. The shelter will neatly allow you to stack your firewood providing a design for excellent ventilation for year round seasoning while protecting it from dampness, rot, termites, insects and nesting wildlife. Built with heavy-duty aluminum and a weatherproof finish that resists chipping and corrosion. 1500W Infrared Gazebo Heater The new Energy+ electric outdoor gazebo infrared heater ushers in a new era in outdoor heating. Its warmth can be spread precisely where you want it and how you want it. 1500W Infrared Gazebo Heater is rated 2.5 out of 5 by 2.